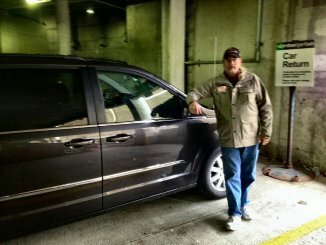 Jim turns in our great van for the trip. 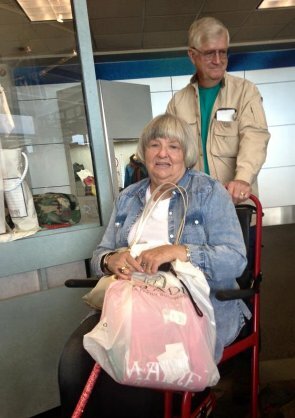 And this Brenda photo captures the last few days when her knee abandoned her and she needed a wheelchair in airports. We all ate at Obrycki's once again at the airport once we landed in Baltimore. Then we parted ways.